In January 2003 the Forum für Fotografie presented its first photography exhibition with the work of Aino Kannisto and Antanas Sutkus. Through this independent institution Dr. Norbert Moos proposes countering the mainstream art market with another approach to photography: searching out and presenting developments in photography that are independent, taking place outside the art market, and in which social and historical sensitivities build the thematic focus. Photographs should be shown and viewed, and they should especially be talked about. Through the concept of direct communication, the Forum für Fotografie would like to contribute to keeping alive the awareness of photography as a unique intermediary of knowledge and experience. 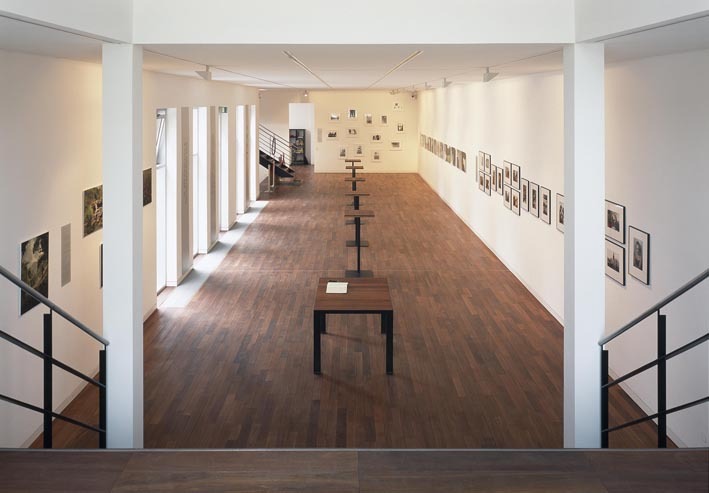 The generous new construction on Schönhauserstraße in the Köln-Bayenthal neighborhood was conceived with the specific requirements of a photography exhibition venue in mind. Distinctive for the Forum is the square tower that stands at the end of the elongated exhibition space. Located in the lower level of the tower is an atrium, which is suitable for presentations, slideshows, and film screenings, as well as for seminars and discussions. In the upper level is a small reference library, which visitors are welcome to use. A cafeteria rounds out the Forum’s premises, which is available to rent for private festivities, company events, or conferences. 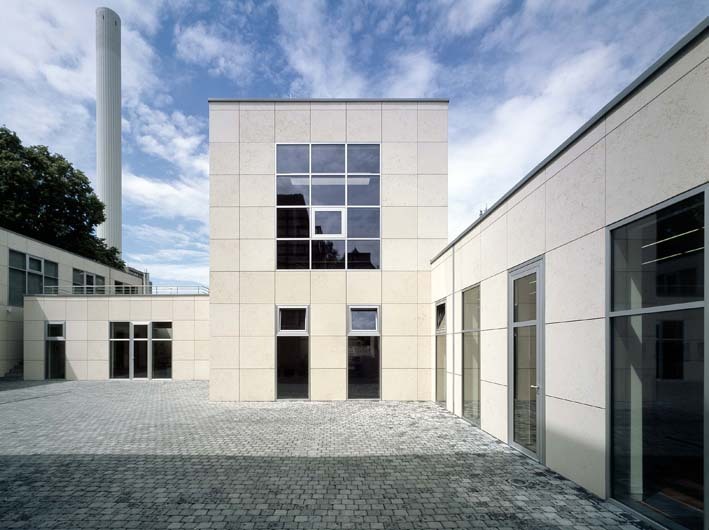 Next to the Forum für Fotografie on the grounds of a former print shop at Schönhauserstraße 8 are housed the Gallery Thomas Zander, Gallery Schmidt-Maczollek, and Gallery Michael Wiesehöfer. 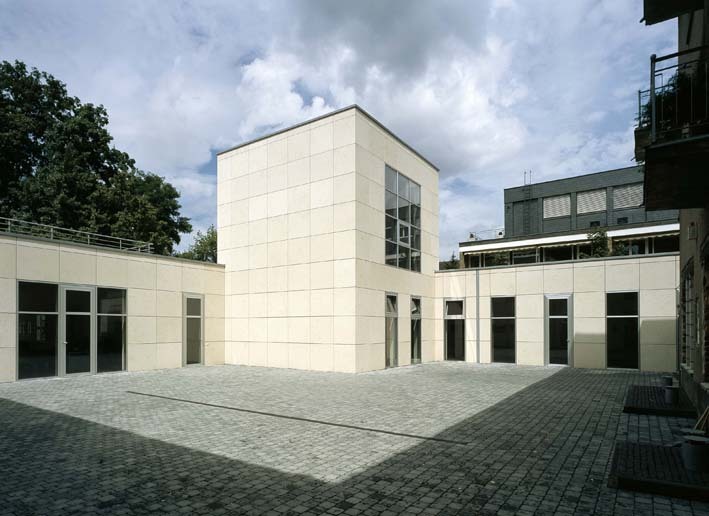 Additionally the Literaturhaus Köln regularly hosts readings and events in our space.